And the response is one of two things… More often than not, the response is a nonplussed expression, followed by “What? Never heard of that game”. But when I tell someone who knows and loves the references, the response is a much more positive “Omigod! Take my money!”. 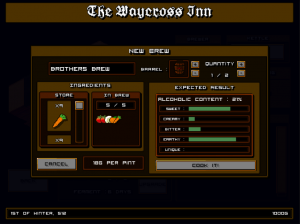 The Waycross Inn is going to be (it’s too early to say ‘is’) an RPG / adventure game about running a medieval tavern. If you’ve played any of the ‘Atelier’ series, or the ‘Harvest Moon’ games, imagine those, but with a ‘choose your own adventure’ novel mixed in there as well. It’s one of those things you just have to play to get I suppose. And if you think it sounds hard to sell, just imagine what it’s like to be throwing hours and hours of your free time into making it. I have no idea if it’s going to work either. 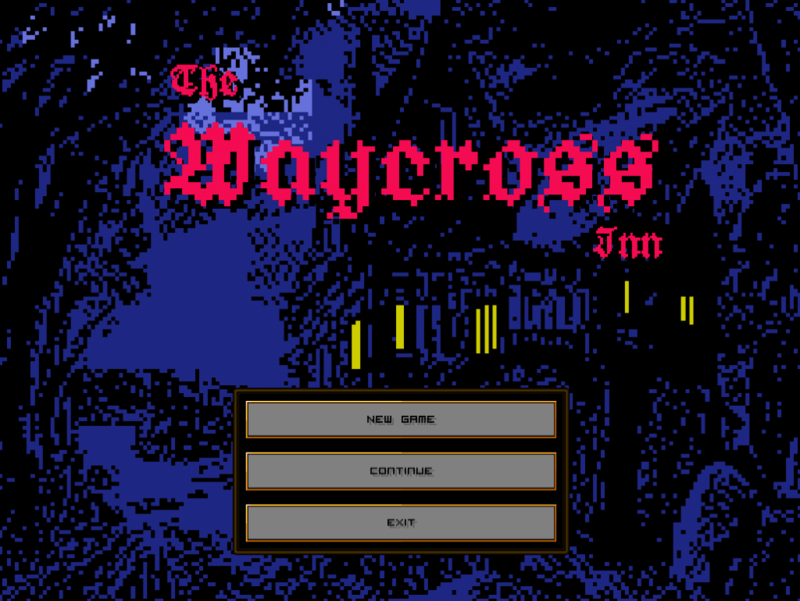 So, The Waycross Inn is about running a tavern in a politically volatile fantasy world, which is situated at a crossroad between four diverse towns. 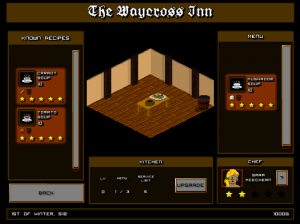 Your tavern is pretty much the only place where people from these different towns and cultures will meet. 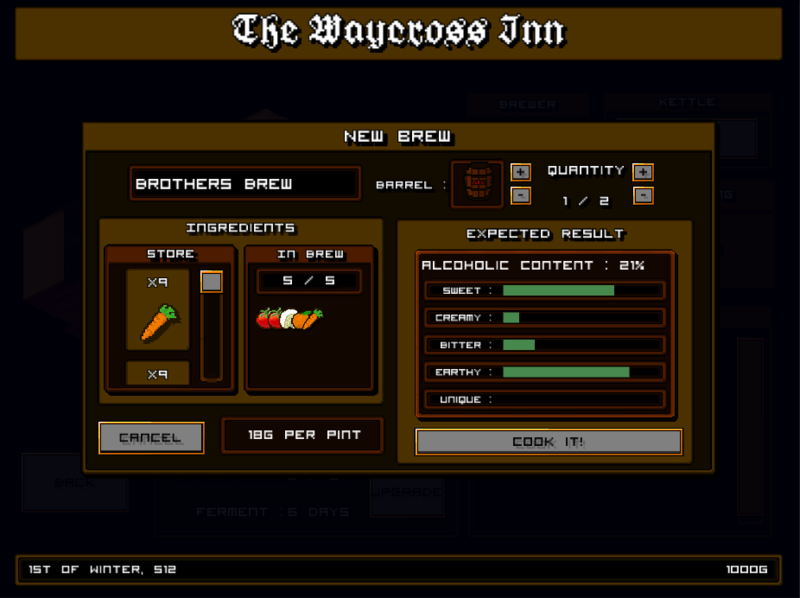 Taverns have typically been places where you might rub shoulders with people you wouldn’t normally associate with, and over a drink, realize you’re not that different and that you all share a basic humanity. The question the game asks is this; Can one location, in the right place and with the right management, build bridges between cultures and classes enough to prevent a brewing civil war? But that’s the much bigger picture. 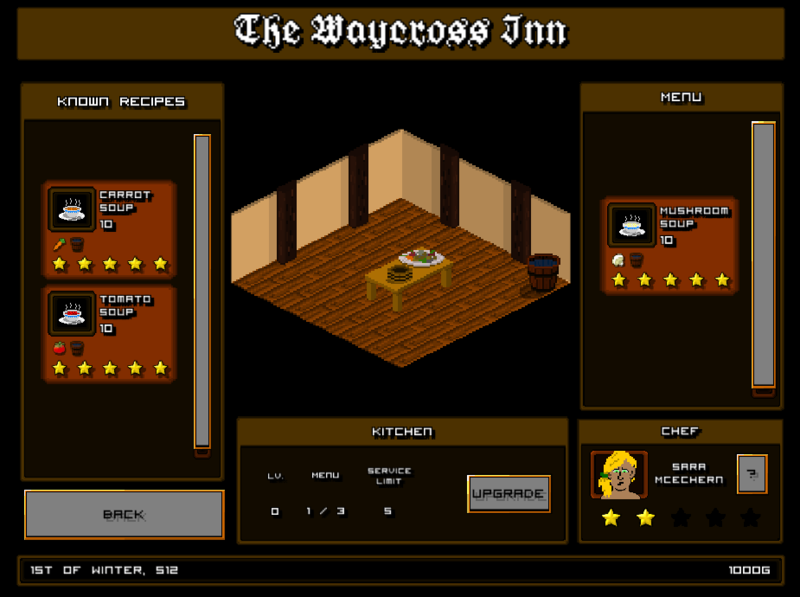 Most of your time will be spent deciding upon the menu, keeping guests happy, brewing your own ales, trading for resources… and tons of other stuff I haven’t even decided upon yet. I’ve been working on the game for two months now, and I’m aiming for a ‘Computers’ release, I haven’t ruled out mobile either. 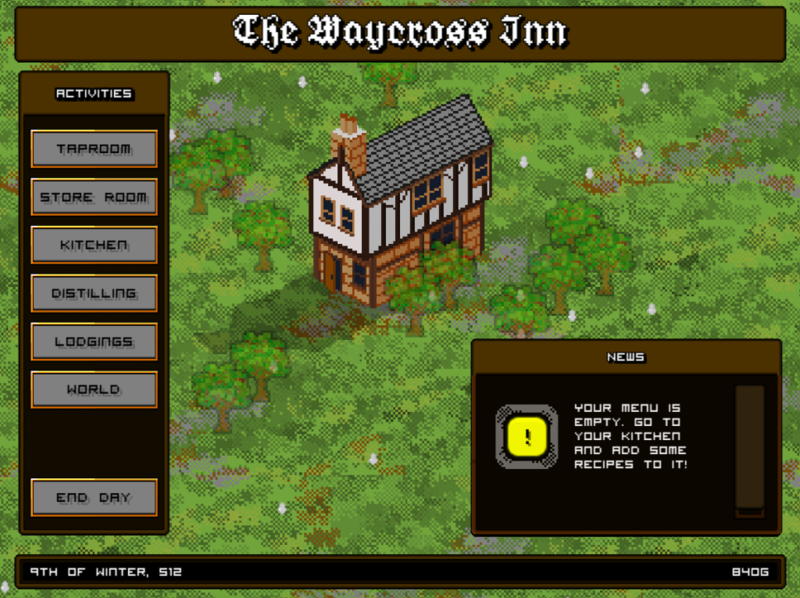 If you like the sound of the game, please let me know in the comments below, and if you would like to keep track of development, the best place is probably my Titter Account (@StewHogarth). Thank’s for reading, see you next time. This sounds very interesting! How procedural will “quests” or goals and events be? It seems to me as if there is the opportunity to make them very much so… Which would make the game even more interesting! Actually, the plan is to make much of the game world procedurally generated. 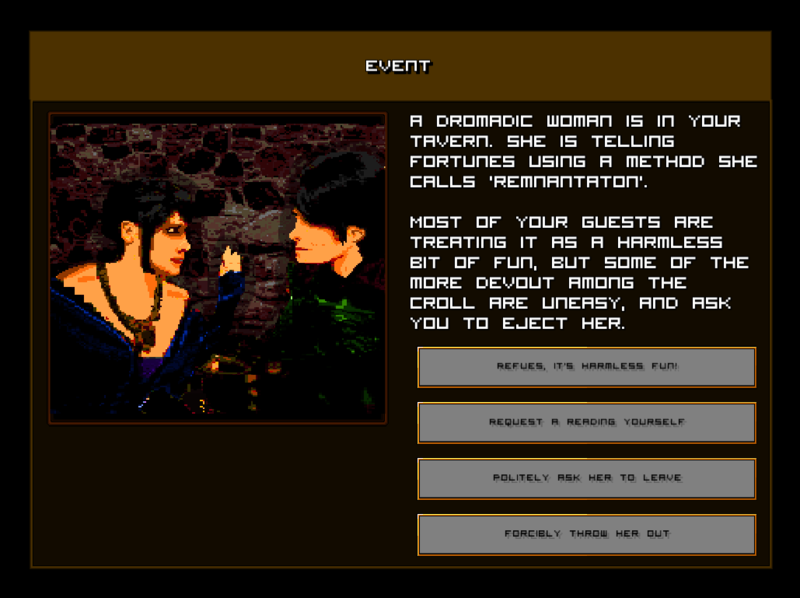 And the story elements will depend upon various character traits, as well as luck, so the outcome might be different each time.